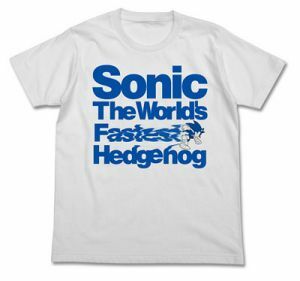 Reader beware, you’re in for a scare – a scary t-shirt, that is! 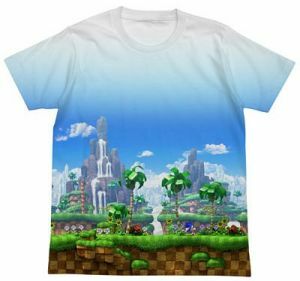 Last month, SEGA got into the 25th anniversary spirit with a limited edition pair of official Sonic Mania tees, and with Halloween around the corner, a spooky new t-shirt is now up for grabs on Amazon US. 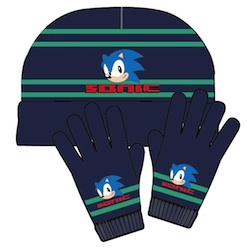 The new piece of apparel features Sonic as he faces off against a thematically dapper Eggman on his Eggmobile with surrounding Bat-Brains. The new tee has yet to surface on Amazon UK, but those in the States can nab a navy or asphalt-coloured shirt for $19.99 today. 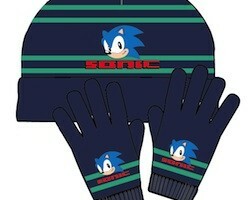 Gonintendo reports on this pair of T-Shirts coming soon to Japan. 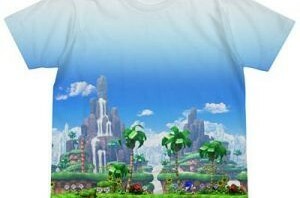 The one on the left is a beautiful image from the Green Hill Zone in Sonic Generations and will be available in November for 6,300 yen ($82 USD) while the one on the right is a typography shirt that looks like one you’d buy for your kid at the local Wal-Mart and will be available in October for 3,045 yen ($40 USD). Both shirts are made by Cospa. whether or not they will be made available for import is unknown.